With summertime fishing under way, the N.C. Wildlife Resources Commission is reminding largemouth bass anglers who practice catch-and-release that following a few simple steps will go a long way to ensure the largemouth bass caught today will live to see another lure tomorrow. During the summer, higher water temperatures and lower dissolved oxygen levels in reservoirs and rivers are tough on largemouth bass. When caught, largemouth bass become more stressed and can suffer higher mortality rates. To minimize stress on the fish, a catch-and-release angler should land the fish quickly and handle it as little as possible, including removing the hook from the fish?s mouth while it is still in the water, if practical. Limited handling helps reduce the loss of slime coat, the fish?s main defense against infection and disease. ?Before you touch a fish, always wet your hands,? 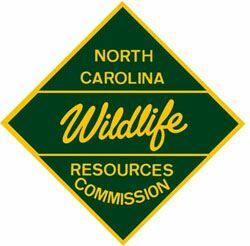 advised Brian McRae, the Piedmont Region fisheries supervisor for the N.C. Wildlife Resources Commission. ?Return the fish quickly to the water if you do not plan to keep it or place it in the livewell. When using a landing net, a knotless nylon or rubber coated net is preferred over a knotted nylon net.? Keeping livewell water about 5 degrees below the reservoir temperature by adding block ice. McRae also recommends that tournament participants fill their weigh-in bags with livewell water, not reservoir or river water, before putting in their catch. They should put only five fish in a bag, fewer if the fish exceed 4 pounds each, and finally they should limit the amount of time that fish are held in bags. ?Keeping largemouth bass in weigh-in bags for longer than 2 minutes will significantly increase post-release mortality,? McRae said. Fishing tournament organizers can do their part to help keep fish alive by providing holding tanks during the weigh-in with water 5 degrees below the reservoir or river temperature and with oxygen levels above 5 ppm. ?Fishing tournament organizers and participants should adopt best handling practices at all events,? McRae said. ?Using staggered times to weigh-in, release boats, and recovery stations with oxygen and recirculating water are all important considerations when planning a tournament.? Other options for tournament directors who enjoy summer fishing tournaments yet want to minimize mortality associated with higher water temperatures are reducing the number of competitive fishing hours or holding ?paper tournaments? without weigh-ins. More information on keeping bass alive is available on the Commission?s website.